The kids participating in the Mini-tennis programs learn the game through playing the sport in a way which is adapted to their capabilities, we use special material that stimulates the learning process, making it easier to move on to the full-court at a later stage. STARTERS: It is a program geared towards boys and girls 8 to 10 years old, which begin to play the sport. Skills are developed with the objective of learning the basics and starting to love and to enjoy playing the game. 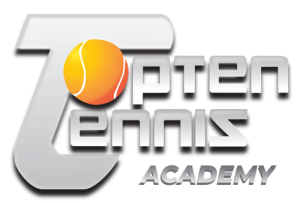 This program provides the opportunity to compete among the tennis school students. The system allows challenging a player up to two spots above in the ladder, and in case of victory swap positions with the challenged player. There is a school ranking and matches are played during the weekends. This is a year round program, with a specific season planning, for young players who want to start to train in a serious environment, and to be able to take part in provincial and Catalonian level tournaments. We guarantee a solid base in all the technical skills; we introduce the development of the basic physical skills and provide tactical coaching covering the most common situations of play. The program is using ¾ court as well as full court. This is a year round program, for young players who train in a serious environment, and to be able to take part in provincial and Catalonian level tournaments. We guarantee the development of the game style, built on the technical, tactical and physical skills previously learned in the previous program. The content of the season is carefully chosen and includes periods of preparation and competitive ones. In this way we help players, to be able to maintain motivation and commitment during the season to make sure performance is at it’s best throughout the year. This program is for players wishing to obtain a top national ranking in Spain, play college tennis in the U.S.A., or to dedicate themselves to pursue a pro career. The program is structured in two training sessions per day, covering technical and tactical training. The physical training is done off court everyday with an INEF graduated specialist in high performance development. The season planning is individualized to match the needs and objectives of each player in the program. This program allows attending classes in a special regime of reduced school time and special examination periods.